ocelotgui screenshots -- Ocelot Computer Services Inc. 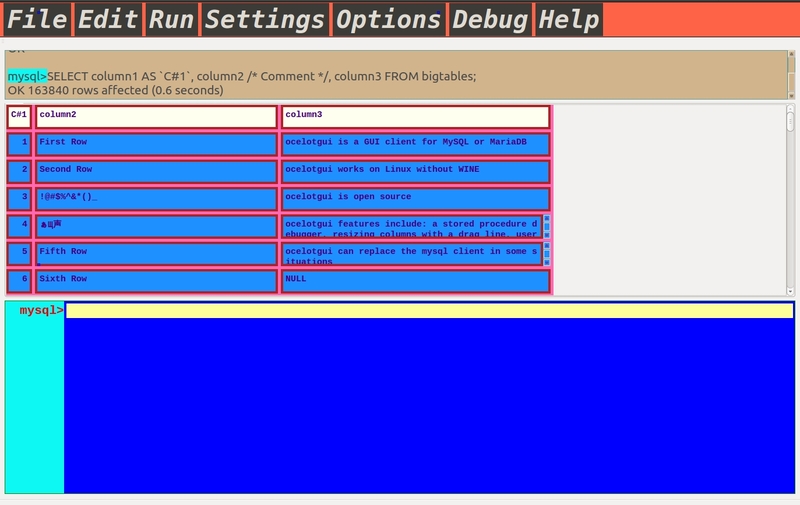 These screenshots show the Ocelot GUI client for MySQL and MariaDB in action. After automatic connection. With history i.e. retired statements at the top and the statement widget dominating the bottom. On the statement widget. 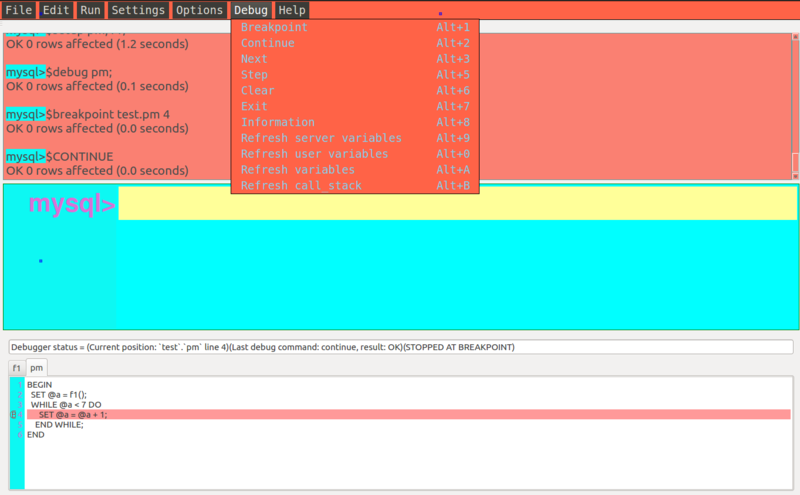 Highlighting causes keywords and literals and names to have different colours. 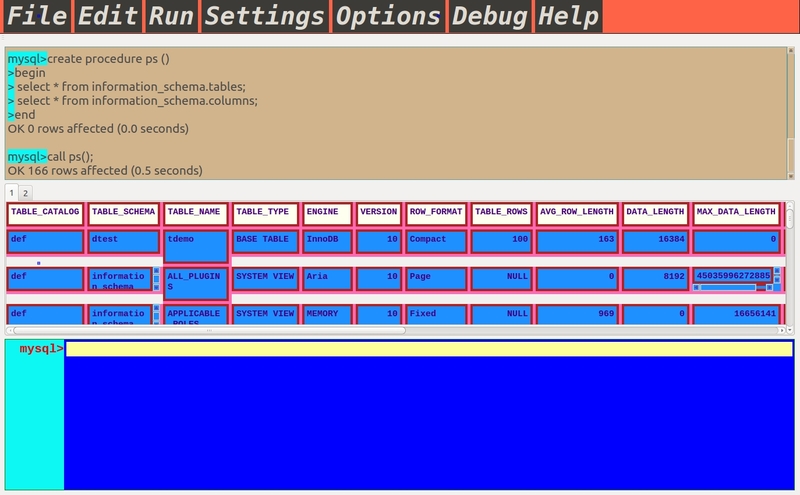 The half-second elapsed time for a 160,000-row SELECT is typical. 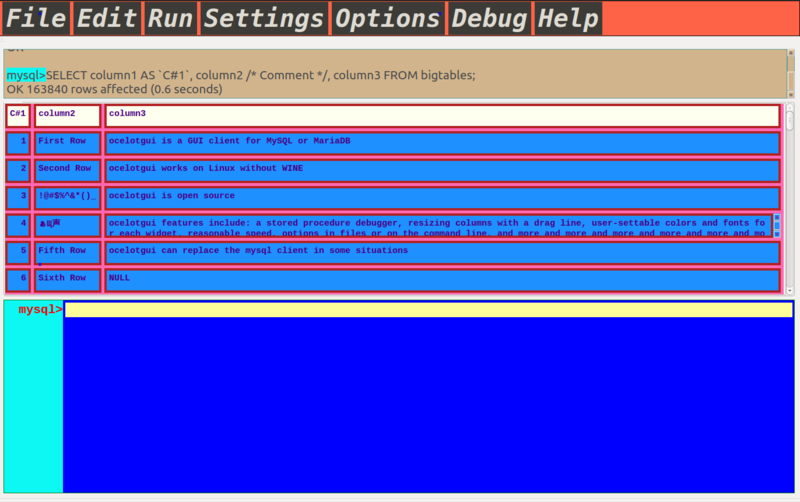 The user has pulled the "drag line" to make column2 wider, and column3 narrower. The result of calling a stored procedure which contains two SELECT statements. Clicking the tab marker, the little box labelled "2", would switch to the second result set. 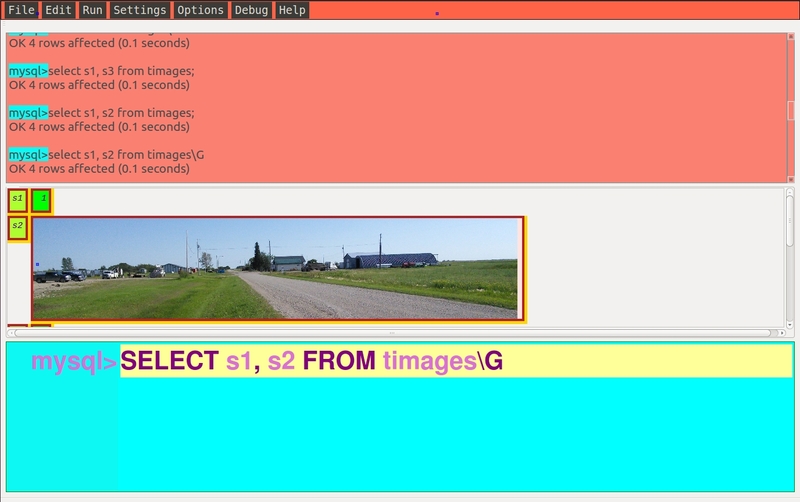 The result of selecting from a table which contains images in the BLOB columns. Images can be formatted as png, jpg, bmp, gif, etc. 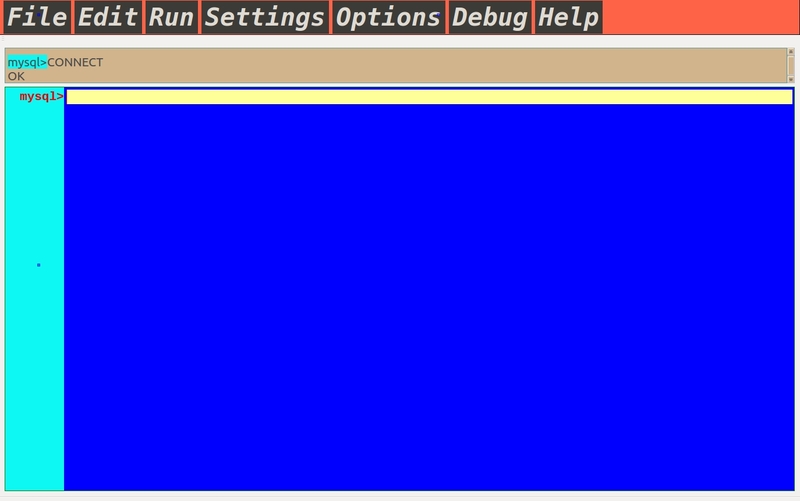 The same SELECT as before, but this time the statement ends with \G, which means: display vertically. After clicking Settings | Statement widget. 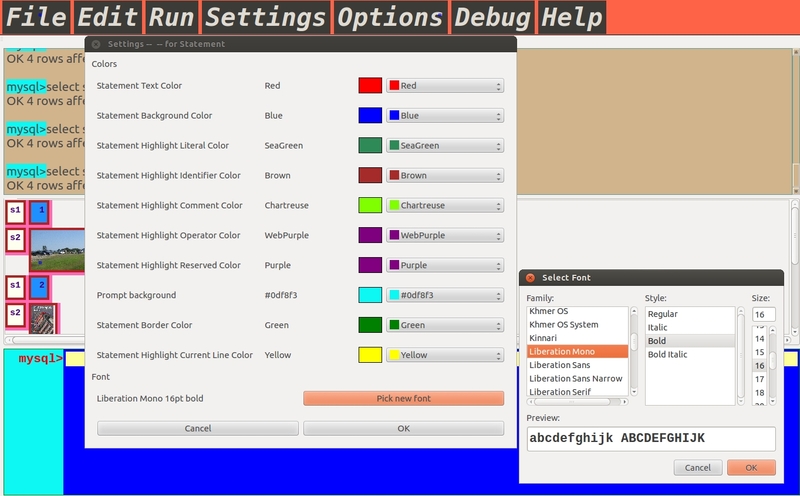 Each widget has its own user-settable colours and fonts. 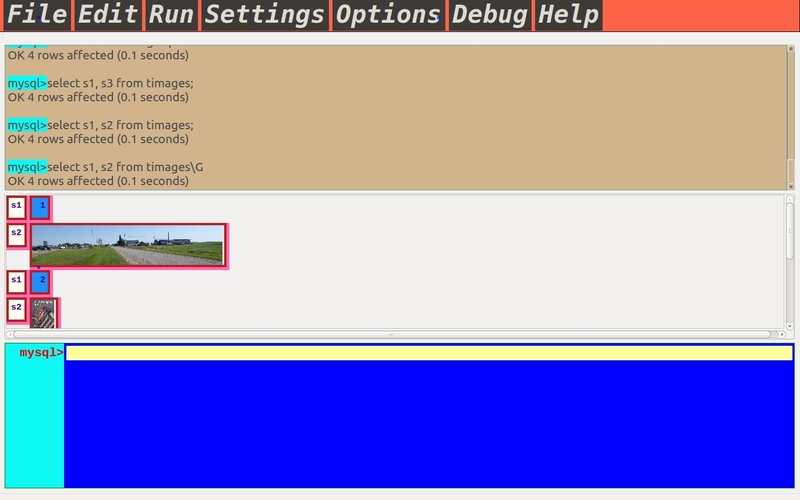 Same SELECT as before, but with many settings changed. 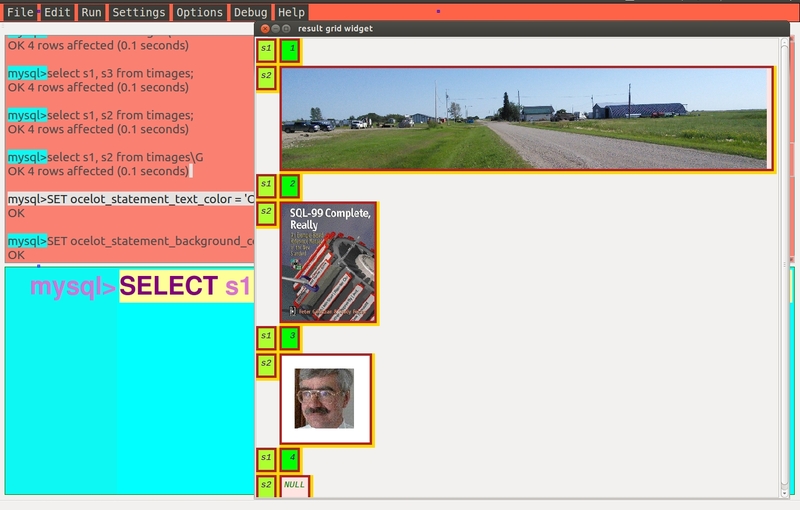 Same SELECT as before, showing the result set detached from the main screen and resized. 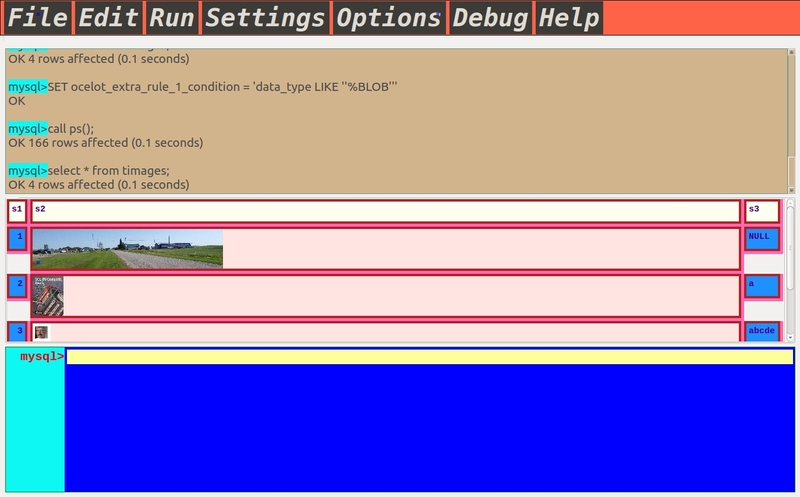 A view with the debugger, showing a stored procedure which has stopped at a breakpoint. The product is free and open source. On Linux. To download, go to https://github.com/ocelot-inc/ocelotgui Read caveats and warnings in the manual first. Copyright (c) 2002-2016 by Ocelot Computer Services Inc. All rights reserved.